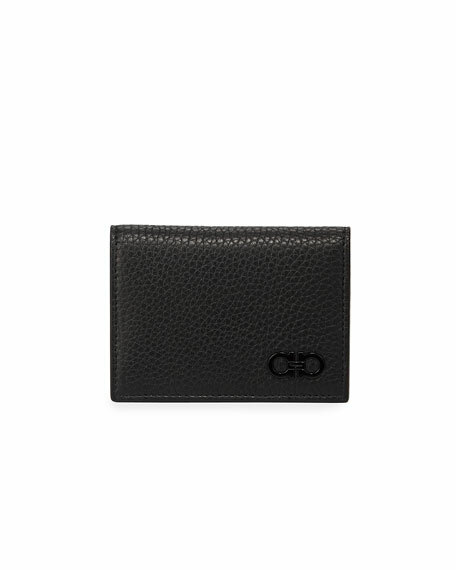 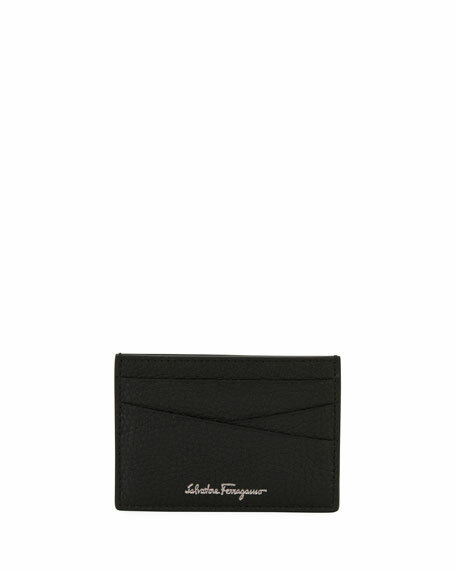 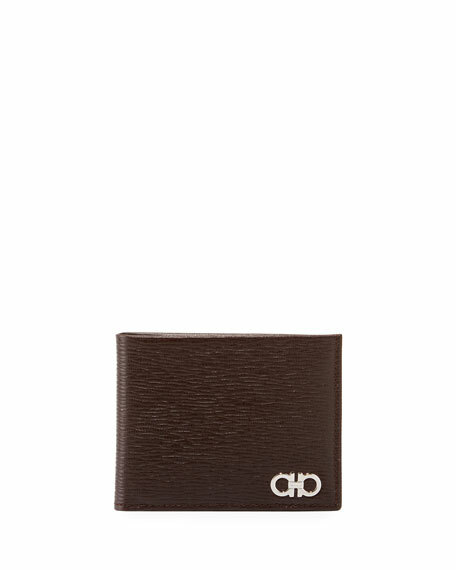 Salvatore Ferragamo card case in grained calfskin leather. 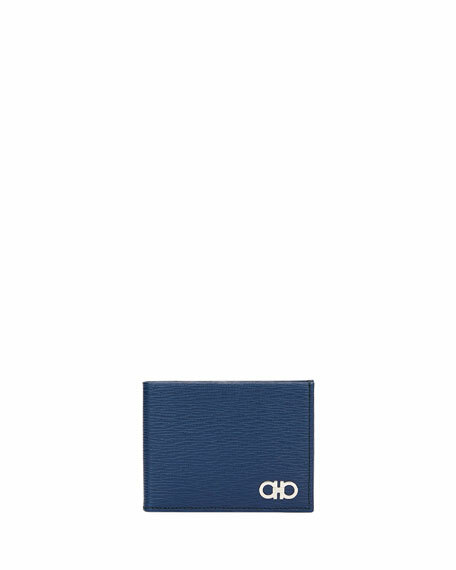 Foil logo on one side; embossed logo on reverse. 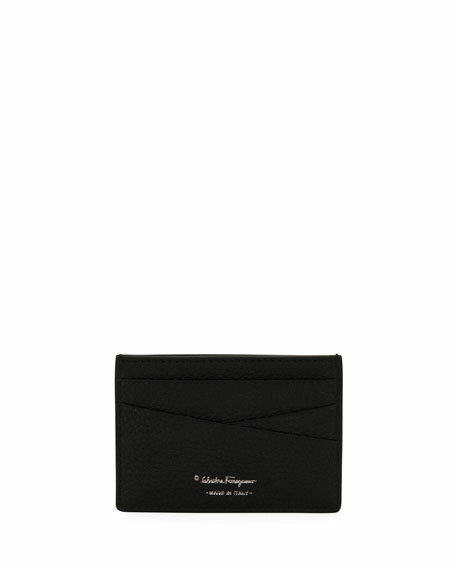 Six card slots; center top slip pocket. 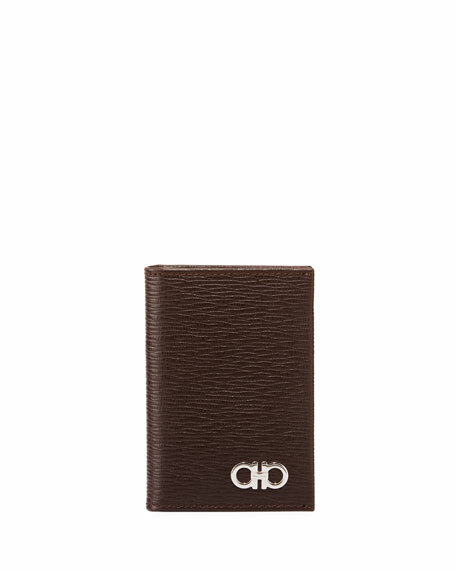 "Firenze" is made in Italy.